Simple and concrete. Beautifully done. I love your way with words. Simple and encouraging. I am sharing it with your permission. Love it. I especially like your 101-word one. 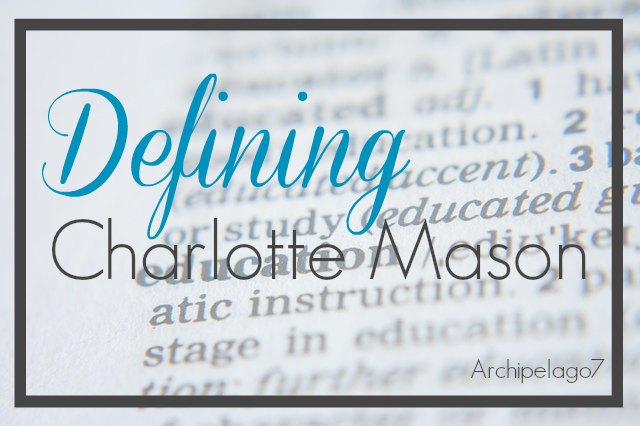 I struggle so much with explaining Charlotte Mason to other homeschool moms - especially ones just starting. I think I will take your challenge, and try to write my own. Very well done. I've often struggled to explain just what it is we do in the absence of large stacks of workbooks and reading comprehension exercises. I like this very much. Thank you for creating this "translation". I will be sharing with others. May I share this in an email in which I'll be inviting others to consider a Charlotte Mason education (and link to this post)? This is a great summary! Yes, please feel free to share this! Just include a link back to the post. Hi Leslie, I would also like to share this in a homeschool newsletter. It is a print newsletter, to about 150 families. Not too big, but far from intimate. I would include whatever attribution you'd recommend. I am trying to put together summaries of major methods, and this would be of great benefit to our families. Yes, Rod, you may share this in a homeschool newsletter. We ask that you include a link back to this post. Thank you for asking.